The Levante Parliament is a design hotel centrally located close to the Parliament and the Viennese City Hall. The building, built in 1908, boasts a is very minimalist atmosphere: no ornaments and only materials that respect the original architectural elements. The Parliament is also a real art gallery, displaying some of the well-known artist Ioan Nemtoi&#039;s glass works. The décor at this hotel is inspired by the 4 elements of life: Fire (for light and transparency); EARTH (materials and colours); AIR (for height and space); and WATER (fluidity and flowing forms); all coupled with all the technological assets of a modern design hotel. 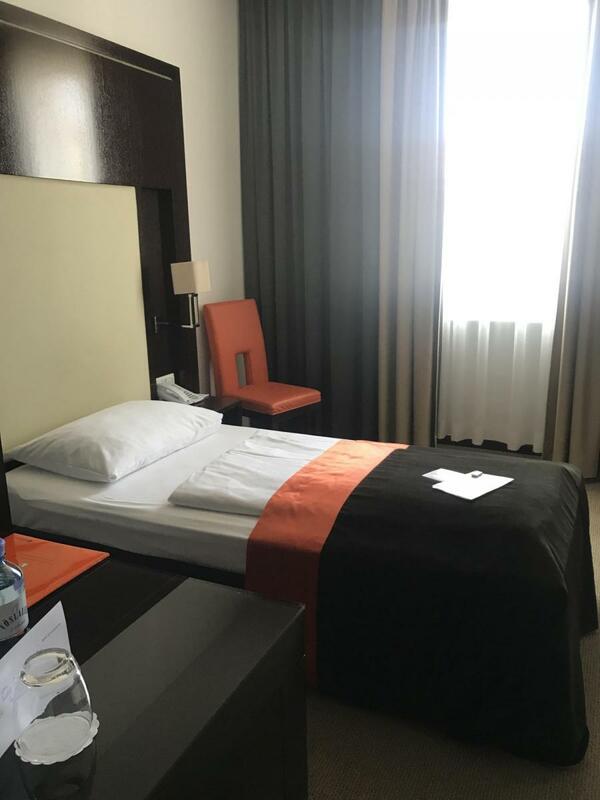 The Parliament offers 67 rooms and suites all equipped with the latest technology such as controllable air conditioning, flat screen TV with satellite and Internet Access, high speed Internet access, etc. ; as well as every luxury you can expect in a top-notch hotel. The colour and design concept is carried logically through the entire restaurant and bar area imbuing the Nemtoi Restaurant with its very special kind of chic. Smoke free hotel. Take train from the airport to Landstraße station. There take metro line U3 to Volkstheater. There change to line U2 and get off at Rathaus. The hotel is just 300 m from the station. Restaurant Nemtoi - Monday - Friday from 6.30 am-10.30 am for breakfast Saturday Sunday and bank holiday from 6.30 am-12.00 am for breakfast Monday - Saturday from 12.00 am-2.00 pm and 6.00 pm-10.00 pm. Beautifully designed, combining the elements of life, fire (transparency and light), earth (the materials used), air (high ceilings in each room), and water (lineal forms and flexibility). Equipped to the highest standards with flat screen TV and Internet access. Location very good, 15 minute stroll to the opera hous, other spectaular building a walk away too. Staff extremely friendly and warm, pretty hotel. Lovely outside terrace as well. Rooms clean and tiidy. Delcious breakfast and very friendly staff. All in all a perfect stay and a wonderful trip, vienna is a must. Lo mejor: la situación del hotel, la amabilidad del personal y el desayuno. Lo peor: todo lo demás . Le sobran estrellas. El hotel es moderno y confortable, la atención buena. La única pega es que la fachada no corresponde a un hotel de 5 estrellas. La situación es muy buena, cerca del centro y monumentos y transporte al lado.